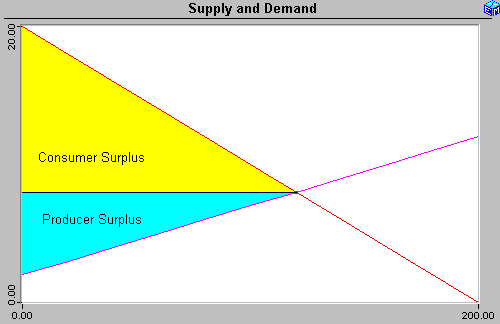 The supply curve slopes upward because, given a market price, there are producers who can produce profitably at a price below that market price. The revenues to producers that exceed the minimum amount that they would have to receive is known as the producer surplus. The diagram below is borrowed from Who Pays a Sales Tax?, which applies this concept.